Last month, First Lady Michelle Obama presented one of ten International Women of Courage Awards to Fatimata Touré for her courageous fight against gender-based violence during the brutal occupation of Gao, Mali, in 2012 and 2013. IntraHealth International’s country director in Mali, Dr. Cheick Touré (no relation), nominated her for the award. We sat down with Fatimata to find out more. Q: Many people who are from Gao, Mali, move to more prosperous areas when they can. What made you decide to stay? A: At the beginning, I was motivated by the situation of poverty all around me, especially for the young girls who did not seem to have the right to stay in school, to get health care, to plan anything for the future. My father always insisted that I study, that his children go to school. He himself worked as a nursing assistant and even became the mayor of Gao. All 11 of his children went to school. Five of us finished our university studies. He knew that it was important. After I had the opportunity to study, I had this overwhelming feeling that I had to go back to Gao and do whatever I could to make a difference, especially for the young girls and women. How did you feel when you received the International Women of Courage Award from Michelle Obama?It was like my head was in the clouds. I felt like I was outside of my body. My head was completely empty. The First Lady of America hugging me? I felt like I was dreaming, like I would wake up. You must stay strong. Be courageous and don’t let your enemies win. What are the benefits of being an awardee? First of all, of course, I met Michelle Obama and the other awardees. In addition, the award winners are now part of a network. We have access to a special website where we can get resources and stay in touch with each other. Every “woman of courage” also got to meet with their country’s support team at the US State Department. That was a real opportunity, talking to the American government. I will stay in touch with them. We talked about reconciliation and whether it is really possible. I think that it is. But it will take a long time. Do you think your life will be different now?This award is already changing my life. In some ways, I have been working in the shadows. Now I am all of a sudden in the limelight. This is good because it calls attention to the real issues. But it is also bad, because it means the rebels may target me even more now. One challenge is that I might have to travel more, which takes me away from the real work on the front lines. I am getting invited to a lot of international conferences and I don’t want to let down anyone. But mostly I don’t want to disappoint the people of Gao. I don’t want to feel disconnected. A couple of months ago, some of the women’s groups in Gao wanted me to run for office, either for a position in the national assembly or even to become the mayor of Gao. I think, though, that I can have more impact doing what I am doing than in becoming a politician. Were you ever scared during the crisis? Did you ever consider fleeing?During the first few nights of the rebel occupation, we did not sleep well. We heard gunfire all night long. It is strange, but you get used to it. I was never really afraid, and never considering leaving Gao. Even when my family put pressure on me, deep inside I felt that I should not leave. It is not my nature to be afraid. How will the conflict affect the futures of young women of Gao?That is a difficult question. What I know is that it will. For one thing, the schools are not yet fully functional, and we’re worried about that. And there are the women who were raped. Some of them had children after being raped. We helped take care of these women. We tried to help them become more resilient, through counseling and by connecting them to income-generating activities. Some of them are getting by, but others are still traumatized. They cannot move on. One woman was held and raped, night after night, day after day. We are trying to help her, but her spirit has been crushed. If you could say one thing to the women of Gao, what would it be?Tenez bon. You must stay strong. Be courageous and don’t let your enemies win.I hope that I can go back to Gao with this award and show the young women there that they, too, can succeed. 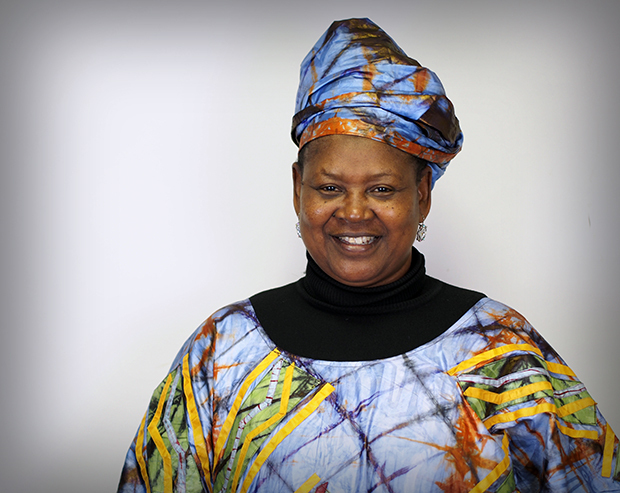 Fatimata Touré is head of the Women’s Action, Research, Study, and Training Group (GREFFA), a local partner of IntraHealth International in Mali. GREFFA worked with IntraHealth on the USAID-funded Fistula Care Project. First Lady Michelle Obama presents one of ten International Women of Courage Awards to Fatimata TourÃ© for her courageous fight against gender-based violence during the brutal occupation of Gao, Mali, in 2012 and 2013.